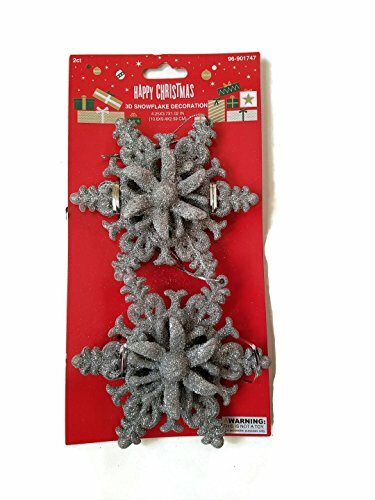 Set of Seven 2 Pack Decorative Silver Glitter Snow Flake Ornaments. Comes seven packs of ornaments, each pack has 2 snow flake ornaments for a total of 14 ornaments. If you have any questions about this product by Happy Christmas, contact us by completing and submitting the form below. If you are looking for a specif part number, please include it with your message.